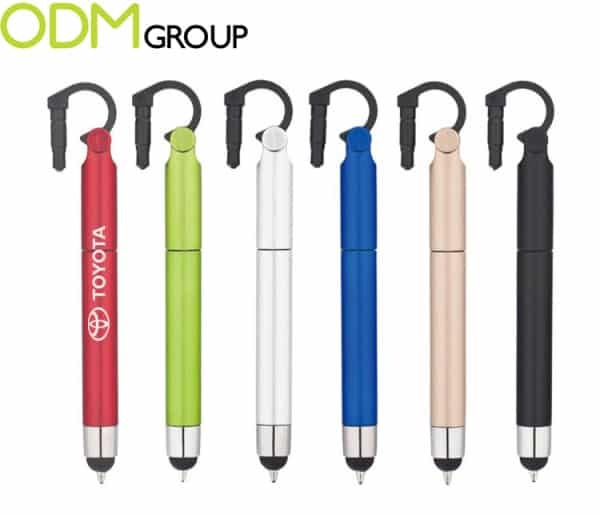 The ODM Group have conducted huge research on promotional pens, and thanks to our favourite and highly-trusted supplier we are now aware of the all top-trending tendencies in pens industry. In order to compete with the latest technologies, with the thread of being totally replaced by the inflow of electronic gadgets, the suppliers of writing instruments nowadays need to be exceptionally creative. And they succeed! Here we have collected the most interesting and innovative designs for pens, which will for sure stand out of the regular range of promotional items. They will definitelly bring lots of attention to your brand. In 2016 pens need to adjust to our new acquired habits to constantly interact with our smartphones and tablets. 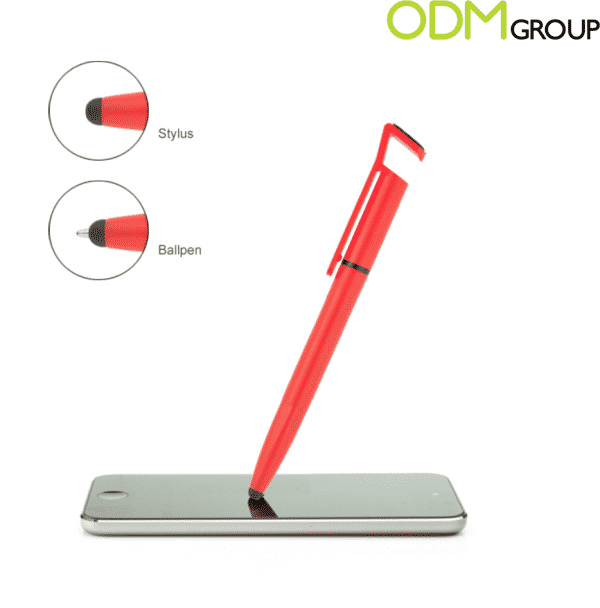 Here comes the brilliant idea of combining two functions: a usual ballpoint and stylus. The retractable mechanism is the same as those we used to have in pens for decades. The nib pushes straight through the conductive stylus, offering an immediate advantage. An absolute necessity in everyday life: keep your touch screen smudge and fingerprint free. With the microfibre screen cleaner integrated on the clip you can easily get rid of water drops and spots on your cellphone. 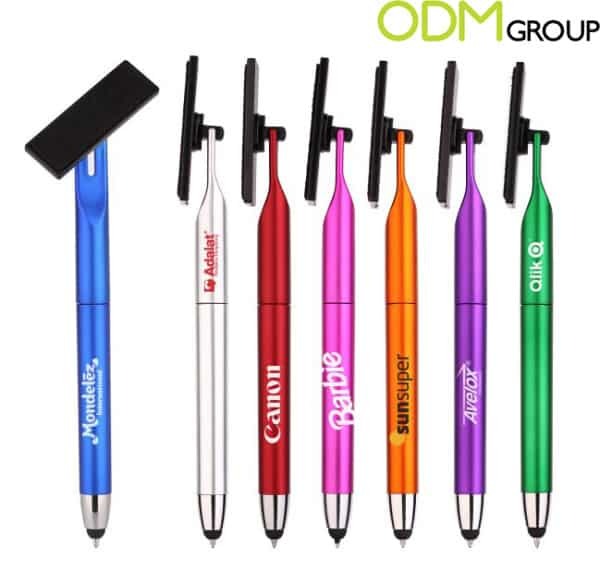 By using this promotional pen for brand placement, you will provide your clients not just with a simple writing instrument, but with an extremely useful item. Can be manufactured with stylus as well. Check how HKTDC uses screen cleaners for promotion. This kind of pen seems to look pretty regular, until you notice that the slot on the lid is designed specially to serve as holder stand for your mobile device. 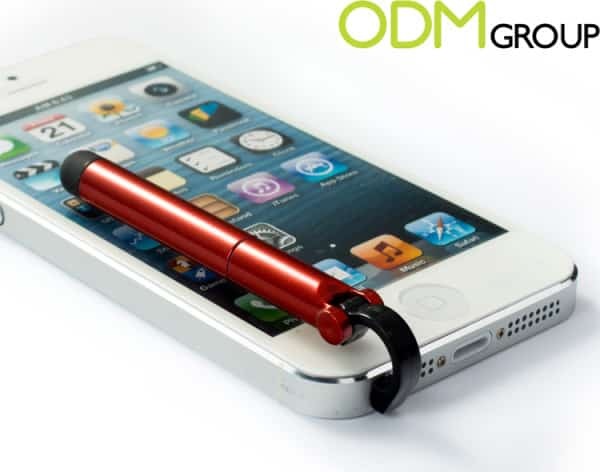 Can be used upright while you are at work so you can see your notifications. Great for watching videos in portrait mode as well. Workable with various models of cellphones. 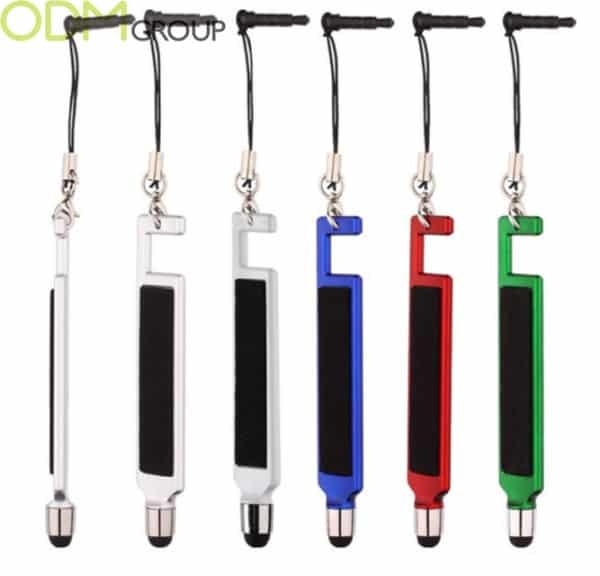 This mini-pen has one more not so obvious function: it serves as anti dust plug which protects your device — cellphone, tablet, MP3-player — from getting the dust into the headphone plug. This brand new product in promotional industry is now getting an extreme popularity in Asia. Perfect for promotions of low marketing budget. Hot selling model made from recycled cardboard barrel is likely to raise brand awareness for your company due to the unique environmentally friendly twist. There is a growing call for businesses to act ethically thorough having sustainable practices. 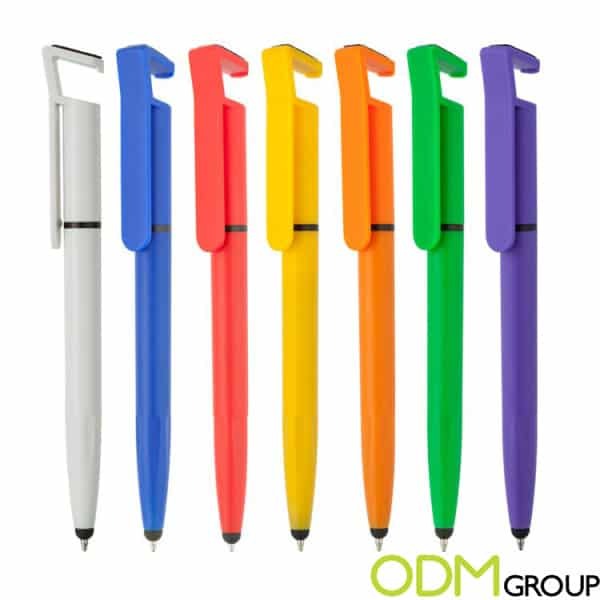 Clients are likely to be delighted at the fact that these pens are bio-degradable, as regular plastic pens are not widely recyclable. 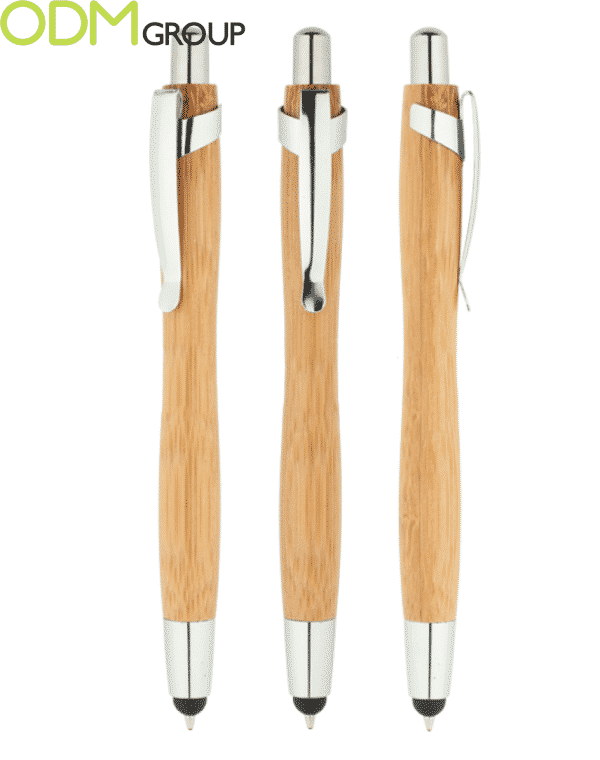 One more high-end and sophisticated option is a pen made from natural wood, with chromed details. 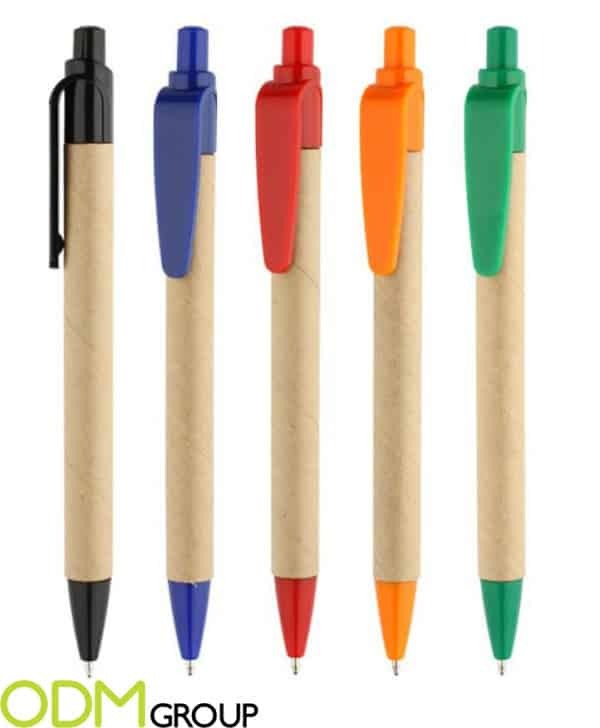 Also check our special blog related to environmentally friendly promotional pens. 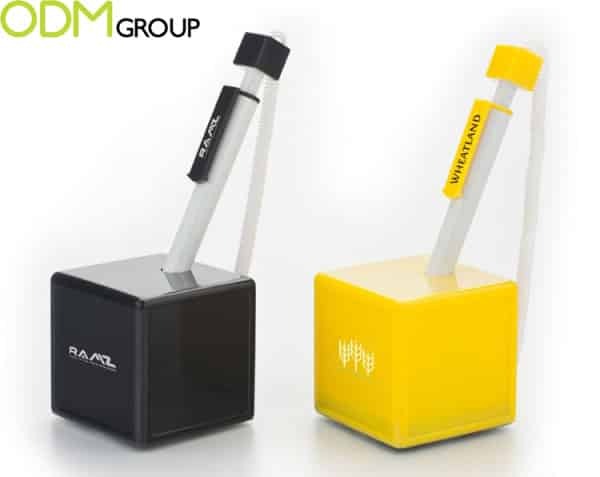 Perfect promotional product for banks and offices, where visitors always forget to return pens taken. All stands include customisable printing of your company information, logo, or branding. A wide range of colour choices allows you to match the colour theme of your company. Or you can choose a selection of colours for greater marketing flexibility. Prefer time-proven solid and classic design and materials? 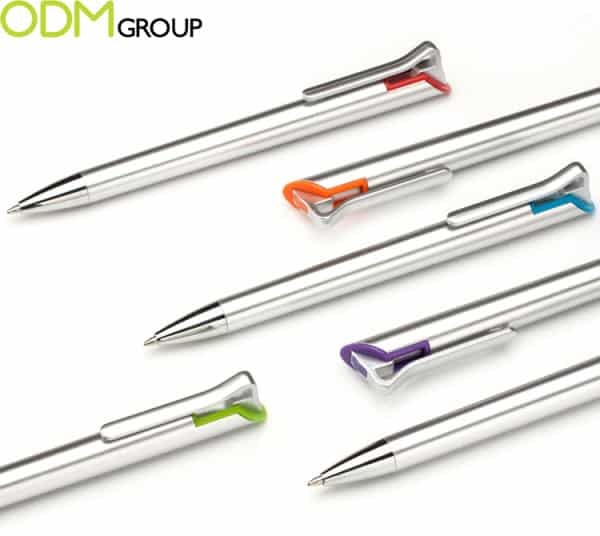 Chromed metal aluminium pen in its totally innovative, high-tech looking version. To sum up all the mentioned above: this multi-purpose item including 5 functions in one. 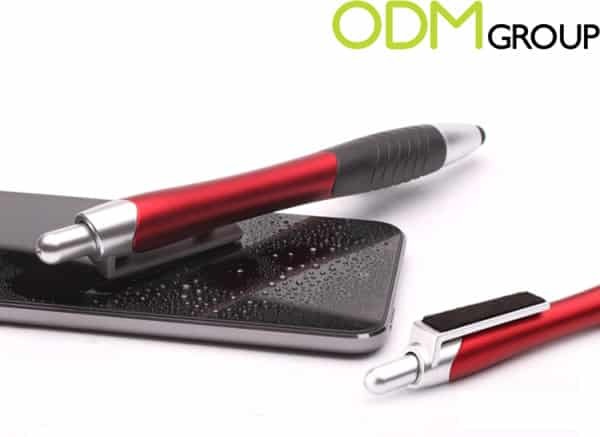 The ball pen, stylus, screen cleaner, phone holder and anti dust plug in one item! And we can personally add one more: it serves as perfect product for brand advertising. The usual minimum order quantity for custom pens from China is from 5,000 to 10,000 pieces. For all the items mentioned we can provide 1-2 pieces of stock samples free of charge. Check our blog to find out what are the options for pens customisation: learn more about types of printing and engraving. Here at ODM, we have significant experience in product design, product sourcing and product manufacturing. We can help you utilise your 2016 marketing budget in an effective manner. Be sure to check out our ever-expanding gift with purchase portal in order to find out more case studies.